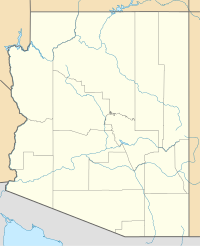 Tucson International Airport (IATA: TUS, ICAO: KTUS, FAA LID: TUS) is a civil-military airport owned by the City of Tucson 8 miles (7.0 nmi; 13 km) south of downtown Tucson, in Pima County, Arizona. It is the second busiest airport in Arizona, after Phoenix Sky Harbor International Airport. The National Plan of Integrated Airport Systems for 2011–2015 categorized it as a primary commercial service airport since it has over 10,000 passenger boardings per year. Federal Aviation Administration records say the airport had 1,779,679 enplanements in 2011, a decrease from 1,844,228 in 2010. Tucson International is operated on a long-term lease by the Tucson Airport Authority, which also operates Ryan Airfield, a general aviation airport. Tucson International Airport is not a hub or focus city for any airline. Public transportation to the airport is Sun Tran bus routes No. 11 and No. 25. In 1919 Tucson opened the first municipally owned airport in the United States. In 1928 commercial flights began with Standard Airlines (later American Airlines); regular airmail service began in 1930. The 1936 airport directory shows Tucson Municipal at 32°11′N 110°55′W﻿ / ﻿32.183°N 110.917°W﻿ / 32.183; -110.917﻿ (Tucson Municipal Airport (1936)) "just north of the railroad" (since removed) referring to the site that was then being used as the city's airport southeast of the intersection of S. Park Ave. and E. 36th St.
During World War II the airfield was used by the United States Army Air Forces Air Technical Service Command. A contract flying school was operated by the USAAF West Coast Training Center from July 25, 1942 until September 1944. In 1948 the Tucson Airport Authority was created as a non-profit corporation to operate the airport and oversee policy decisions. The nine member board is elected by a group of up to 115 volunteer residents from Pima County Arizona. The airport was moved to its current location south of Valencia Road and operated on the west ramp out of three hangars vacated by World War II military manufacturing companies. A new control tower was constructed in 1958 to replace the original WWII wooden framed version. The Tucson Airport Authority was also involved in bringing the Hughes Missile Plant (now Raytheon) to Tucson. In fact, in 1951, according to author David Leighton, it was the TAA that sold the land to the Hughes Aircraft Co., for construction of the plant. In March 1956 the Civil Aeronautics Board approved routes out of Tucson for Trans World Airlines (TWA), over opposition from American Airlines, but flights didn't begin until December of that year. In April 1957 airlines scheduled 21 departures a day: 15 American, 4 TWA and 2 Frontier. The first jet flights were American Airlines Boeing 707s and Boeing 720s around September 1960. American began flying McDonnell Douglas DC-10s form Tucson nonstop to Dallas/Ft. Worth and to Chicago via Phoenix beginning in the fall of 1971 and continuing through the 1970s. By the late 1980s, American was flying Boeing 767-200s nonstop to Dallas/Ft. Worth. The DC-10 and 767 were the largest airliners ever to serve Tucson on scheduled passenger flights. On November 15, 1963 a new terminal designed by Terry Atkinson opened with an international inspection station. The Tucson International Airport name was legitimate: Aeronaves de Mexico had begun Douglas DC-6 propliner service to Hermosillo and beyond in 1961. By the mid 1970s, successor airline Aeromexico was continuing to serve Tucson with McDonnell Douglas DC-9-30 jet flights nonstop to Hermosillo with direct, no change of plane service to Ciudad Obregon, Culiacan, Guadalajara and Mexico City. Bonanza Air Lines began DC-9 jet service to Mexico during the late 1960s with flights to Mazatlan, La Paz and Puerto Vallarta, and successor airlines Air West and Hughes Airwest also operated DC-9s from Tucson to Mexico with their service being extended to Guadalajara as well as continuing to provide flights to Mazatlan, La Paz and Puerto Vallarta. The terminal underwent minor remodeling during the 1960s and 1970s, and its interior was featured in the 1974 film Death Wish starring Charles Bronson. From the early 1970s to the early 1980s, Cochise Airlines was based in Tucson. This commuter airline operated Cessna 402s and Convair 440s as well as de Havilland Canada DHC-6 Twin Otters and Swearingen Metroliners. Cochise scheduled passenger flights to cities in Arizona and southern California. A remodeling in 1985 doubled the size of the terminal from 150,000 to 300,000 sq ft and rebuilt the concourse into separate, two-level structures with jet bridges. A Concourse Renovation Project was finished in 2005 – the last phase of a remodeling begun in 2000 that added 82,000 sq ft (7,600 m2) to ticketing and baggage claim designed by HNTB. On March 19, 2008, the previous East and West concourses and gates were renumbered with the East Concourse becoming Concourse A: Gates A1 – A9, and the West Concourse becoming Concourse B: Gates B1 – B11. In January 2014, the Tucson Airport Authority board approved a no-cost, 20-year property lease with the Federal Aviation Administration for property on which to build a new federally funded control tower to replace the 1950s vintage tower currently in use. The new tower is located on the south side of the airport, near Aero Park Blvd. On April 6, 2016, the Tucson Airport Authority announced the Terminal Optimization Program (TOP). The program, which will go by its campaign name, A Brighter TUS, includes a variety of terminal facility improvements, including relocation and improved capacity at the Security Screening Checkpoints, enhanced concession and revenue opportunities, the upgrade of critical building systems, and maximizing use of under-utilized space. Renovations began in June 2016 and was completed in November 2017. Tucson International Airport hosts Morris Air National Guard Base, known as Tucson Air National Guard Base prior to November 2018, a 92-acre (37 ha) complex on the northwest corner of the airport that is home to the 162d Fighter Wing (162 FW), an Air Education and Training Command (AETC)-gained unit of the Arizona Air National Guard. Military use of Tucson Airport began in 1956, when the Arizona Air National Guard activated the 152d Fighter Interceptor Squadron, an Air Defense Command (ADC)-gained unit, which operated Korean War vintage F-86A Sabres. At that time the "base" consisted of an old adobe farmhouse and a dirt-floor hangar with enough space for three aircraft. During its history at TUS, the wing has operated the F-86 Sabre, F-100 Super Sabre, F-102 Delta Dagger, A-7 Corsair II and General Dynamics F-16 Fighting Falcon aircraft. Today the 162d Fighter Wing is the largest Air National Guard fighter unit in the United States, and operates over 70 F-16C/D/E/F aircraft in three squadrons. The wing's F-16s augment the active Air Force's 56th Fighter Wing (56 FW) at Luke AFB, Arizona as a Formal Training Unit (FTU) for training Regular Air Force, Air Force Reserve Command, Air National Guard and NATO and allies' F-16 pilots. The wing also hosts the Air National Guard / Air Force Reserve Command (ANG AFRC) Command Test Center (AATC) as a tenant unit, which conducts operational testing on behalf of the Air Reserve Component. The 162 FW also hosts "Snowbird" operations during the winter months for Air Force, Air Force Reserve Command, and Air National Guard F-16 and Fairchild Republic A-10 Thunderbolt II units from northern tier bases in the continental United States, as well as Canadian Forces and Royal Air Force flying units. Not counting students or transient flight crews, the installation employs over 1,700 personnel, over 1,100 of whom are full-time Active Guard and Reserve (AGR) and Air Reserve Technician (ART) personnel, and the remainder traditional part-time Air National Guardsmen. Although an AETC organization, the 162nd also maintains an F-16 Alert Detachment for U.S. Northern Command / NORAD and AFNORTH at nearby Davis-Monthan AFB in support of Operation Noble Eagle. Baggage Claim area; Belt 5 is used by Southwest Airlines exclusively. Airlines usually use Runway 11L. In occasional trade winds, airliners use Runway 29R, and even rarer, with south winds, Runway 21. Runway 11R-29L is too narrow for most airliners, but they can use Runway 3. In the year ending February 28, 2018 the airport had 120,564 operations, average 330 per day: 46% general aviation, 30% airline, 11% air taxi, and 13% military. 336 aircraft were then based at the airport: 51% single-engine, 24% military, 5% multi-engine, 2% helicopter, and 18% jet. Tucson International Airport's terminal has three concourses: Concourse A has nine gates, A1 through A9, Concourse B has eleven gates, B1 through B11, and Concourse C, which stands west of the main part of the terminal. There are three levels inside the terminal. The ground level is designated for baggage claim and passenger pick-up. The upper level includes airline ticketing, concessions, airline gates and TSA. The third level is designated for meetings and conference rooms and also includes the Tucson Airport Authority offices. Currently, Tucson International Airport offers daily nonstop airline service to 22 destination airports across the U.S. Additionally, there are one-stop connections to more than 350 destinations around the world. Tucson International Airport's terminal is similar to that of the terminal of Seattle–Tacoma International Airport, with both in the shape of a wide X. Both concourses inside the terminal offer food, beverage, and shopping, and free wireless internet and charging stations. There has been a propensity in local news media outlets to refer to the airport as "TIA" versus the airport's actual airport code of "TUS" in reporting or reference. A similar situation occurs in the Tampa, Florida metropolitan area by that region's news media with respect to their characterization Tampa International Airport (TPA). The airport code TIA is assigned to Tirana International Airport Nënë Tereza in Albania. On December 30, 1989, an America West Boeing 737-204 (Flight 450, Registration N198AW) was en route to the Tucson International Airport when a fire in the wheel well burned through hydraulic cabling. During landing braking was ineffective and the aircraft overran the end of the runway. After colliding with a concrete structure the plane came to a stop. Aircraft was written off. On July 30, 1982, a Douglas C-47D (Registration N102BL) of Pronto Aviation Services was damaged beyond repair in a crash landing near El Paso International Airport following an engine failure shortly after take-off. The aircraft was on a domestic non-scheduled passenger flight to Tucson International Airport when the engine failed and the decision was made to return to El Paso. A single engine go-around was attempted following an unsafe landing gear warning. On March 13, 1990, an Alaska Airlines Boeing 727-227 (Registration N271AF) operating Phoenix-Tucson, struck and killed a pedestrian during the takeoff roll at Phoenix International Airport. The man had apparently wandered away from a nearby mental hospital. How he made it onto runway 26L was not determined (Runway 26L is now 25R). On February 7, 2016, a SkyWest Airlines Bombardier CRJ700 flying Tucson-Los Angeles as United Express filled with smoke upon departure from Tucson and was forced to make an immediate return to the airport and landed safely. None of the 77 people aboard were injured, however passengers were forced to jump off of the aircraft's wings. On January 23, 2017, a Beechcraft 300 crashed near a parking structure shortly after takeoff, killing the two people on board. ^ Tucson Airport Authority. effective September 4, 2014. ^ "Statistics". Tucson Airport Authority. January 2019. Retrieved April 24, 2019. ^ "2011–2015 NPIAS Report, Appendix A" (PDF, 2.03 MB). faa.gov. Federal Aviation Administration. October 4, 2010. ^ "Enplanements for CY 2011" (PDF, 1.7 MB). faa.gov. Federal Aviation Administration. October 9, 2012. ^ "Nov. 16: Today in Arizona History". Arizona Daily Star. November 16, 2011. Retrieved July 3, 2012. ^ "List of The Most Common Types of Scholarships" (PDF). mapptucson.org. ^ "History of Tucson Airport Authority" (PDF). Tucson Airport Authority. 2014. Retrieved May 12, 2015. ^ "HNTB – Tucson Airport Expansion". ^ "ANG AFRC Command Test Center - Home". ^ "162nd Wing, Arizona ANG - Home". ^ "Airlines and Flights". TIA. ^ "A-Z World Airports Online - Albania airports - Tirana International Airport (TIA/LATI)". Arizona World Airports. ^ "Flight Timetable". Retrieved January 29, 2017. ^ a b "Flight schedules and notifications". Retrieved January 7, 2017. ^ a b "FLIGHT SCHEDULES". Retrieved January 7, 2017. ^ "Check Flight Schedules". Retrieved January 7, 2017. ^ "Sun Country Airlines". Retrieved January 7, 2017. ^ a b "Timetable". Retrieved January 7, 2017. ^ "Route Map". Retrieved April 6, 2017. ^ "Statistics". Tucson Airport Authority. Retrieved April 24, 2019. ^ a b "RITA - BTS - Transtats". transtats.bts.gov. Retrieved April 24, 2019. ^ "LAX90FA061". National Transportation Safety Board. December 30, 1989. ^ Harro Ranter (December 30, 1989). "ASN Aircraft accident Boeing 737-204 N198AW Tucson International Airport, AZ (TUS)". ^ "FTW82DA302". National Transportation Safety Board. July 30, 1982. ^ "LAX90LA116". National Transportation Safety Board. March 13, 1990. ^ "United Airlines jet makes emergency landing at TIA". ^ Star, Arizona Daily. "2 killed when plane taking off crashes at Tucson airport". Wikimedia Commons has media related to Tucson International Airport. This page was last edited on 25 April 2019, at 03:31 (UTC).